Ranges benefit by having a system that’s simpler, safer, and less costly than traditional target shooting environments. And range customers will find the OCAT System fun and easy to use. The equipment is always located safely behind the firing line. That means you or your customers never have to walk down range or look through the spotting scope to get feedback on your shooting progress. The system tells your customers, in real-time, how well they’re doing. Information about each hit is provided on-screen and audibly. And with the OCAT System there is no need for costly, high-visibility reactive targets. You (or your customer) can print your own standard and custom targets on plain paper, right from your own printer, saving you time and money. Your customers will appreciate the OCAT Analyzer program which they can use at the range or at home. It pinpoints common shooting mistakes, identifies shot groups and analyzes the customer’s results for accuracy and precision, all in real-time. The analyzer even can tell the timing and order of their shots and has the ability to compare multiple training sessions. This lets your customers track their progress from one session to the next. With the OCAT System, customers will feel like they have their own personal trainer, range finder, scorekeeper and timekeeper. This will free you up to focus even more on attracting more customers and building your business. For more information on installing OCATS at your range, please contact us. 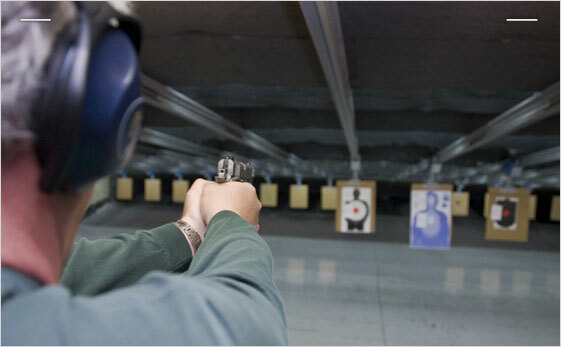 Don’t delay…take your shooting range to the next level today.